Simply put, jeans rock. They’re sturdy enough for all your harabas needs, they’re comfortable enough for the daily grind, and with the variety of cuts, styles, and washes, you’re sure to find one for a japorms occasion. If you’re like any of us FHM drones, you’d wear your maong til you’re 64 or dead, whichever comes first. So, here are a few tips, tricks, and trivia to make your maong last to forever! 1. Get them dirty. 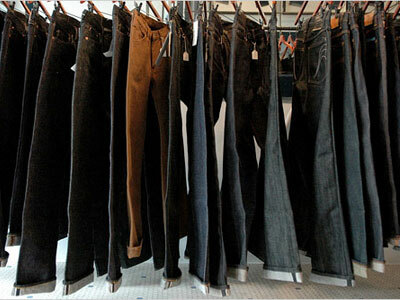 According to Tough Jeans, the following is the golden rule for denim: wash less and wear more. Ideally, that’s anywhere between after five wears and six months worth of wear. Before you go eew-ing on us: Sporadic washing allows your natural oils to seep into the fabric, allowing your jeans to conform according to your body shape. This means a better fit as the years ago. 2. Stop the stink. Six months may be quite awhile. When your pair begins to smell, use fabric deodorizers like Febreeze. When there’s dirt, wash it off by hand with warm water. 3. Raid your kitchen. When washing is finally due, wash your jeans in salt or vinegar. Vinegar, especially, is a natural preservative that will increase the lifespan of your beloved maong. 4. Watch the temp. Temperature, we mean. Hot water will shrink your jeans. Cold water will stretch them. Hot will shrink, cold will stretch. 5. Quick TLC. Before you go washing, check label instructions. Remember to wash your maong inside out. Unless you need to shrink them, it’s best to wash with cold water. Lastly, Hang them dry for the perfect finish.